Before you proudly profess that you have a pen pal from the other end of the world and what a joy it is to receive different stamps from different countries, it all begins somewhere. For today’s Writing Wednesday, lets talk about writing that very awkward first letter to your new pen pal! What on earth should you say besides: ‘I hope this letter finds you well’. Yes, it is an all new way of saying hello! Letters take a couple of weeks/ days before it reaches the sender so it is always good to let your pen pal know where you got his/ her address, especially if he/ she has lots of pen pals so don’t assume they know! I contacted you at the I-Love-Unicorns forums to be pen pals. My ID on the forum is : uni_jams and I am very happy to meet; or rather, write to a fellow unicorn lover! Before you start to ramble on about world affairs, remember to introduce yourself! A short introduction of yourself, where you are from and some hobbies and why you like them. I am from the sunny island of Singapore and started obsessing with unicorns when I was six. My uncle actually started my obsession by giving me a unicorn plush toy for my birthday and since then, it is my life goal to tame, ride and call a unicorn Perry. It is a conversation after all so engage and ask. Ask about the weather if you have too; food makes a great conversation starter too! I saw the picture you took of the flying unicorn in the storm on the forum! It is really cool! Do you see lots of unicorns from your side of the world? I saw a baby one the other day and got really close to it before it ran away. How close have you gotten to one? Tell your new pen pal some of your favourite travel stories or something interesting that happened to you. Even better if you write about a common topic or hobby! So there was this one time when I was in Japan and a unicorn stole my sushi! It appeared out of nowhere, grabbed my sushi and -WHOOSH- it galloped off in a cloud of sparkles! Inject your personality into it and have fun writing! You are not curing cancer and there are no hard and fast rule to saying hello. It can be a little weird as starting the first letter but remember that the correspondence gets better with each letter you send as you are getting to know a person. Also, who does not love beautiful letters waiting for you in your mail box? 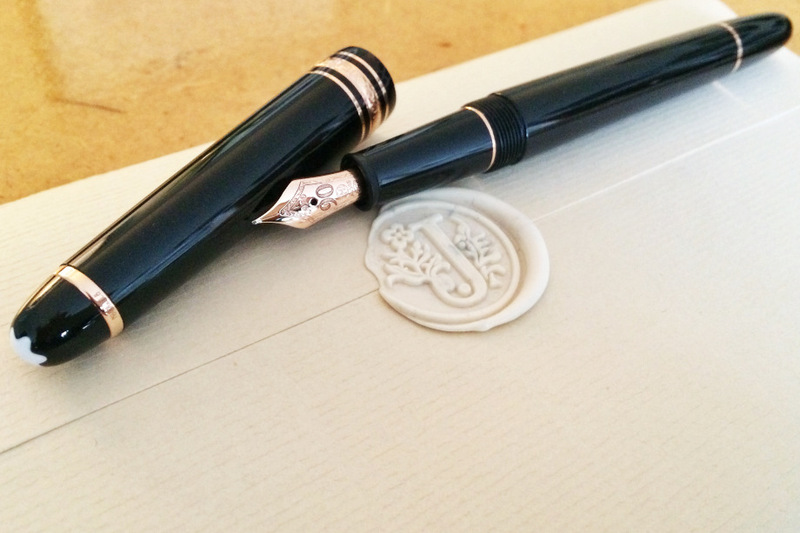 I hope you enjoyed today’s Writing Wednesday: Writing Your First Letter. Next week, I am going to introduce some of my favourite stationary website and introduce some of my favourite paper, pen and ink to feel as though you are writing to royalty! Also, no. I am not obsessed with taming, riding and calling a unicorn Perry.